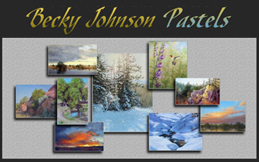 Artists of Maine -- Piper Bolduc, Mimi Carpenter, Ric Eland, Thea Flanagan, Tim Flanagan and Louise A. Frechette, PSA. 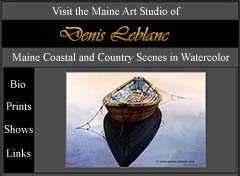 Denis Leblanc, Maine coastal and countryside scenes in watercolor. Sarah Greenier, Maine artist, features realistic & expressive oil paintings & fine art prints of marine, coastal & Monhegan scenes. Sheila Gill Watercolour Artist - She produces pictures of a startling luminosity, with the freshness and colour that we tend to associate with oil paints. Silvana Brunotti Oil Paintings - Original Oil Paintings by the Contemporary Italian Painter Silvana Brunotti. Pictures of Rome, Italy Landscapes, Still lives, Watercolors and mixed techiniques.